We often receive reports of sloths that have been severely burnt or attacked with machetes as they are spotted with what appears to be a horrifying injury on the upper back. What looks like an open wound or blood-stained fur, however, is in fact completely normal. It is a little known fact that all male three-fingered sloths develop this striking and totally unexpected feature called a ‘speculum’ at sexual maturity. The speculum consists of a mid-dorsal brightly coloured patch of fur that develops on all male Bradypus sloths (with the exception of B. torquatus, the Maned sloths) at sexual maturity. The speculum ranges from yellow to dark orange in colour with a prominent black stripe running down the centre and has additional markings displayed in a pattern unique to each individual. The hair within the speculum is short and downy, covered in an oily secretion, and has a musty scent. While the presence of the speculum has occasionally been acknowledged in the scientific literature, there has never been any speculation as to its purpose. 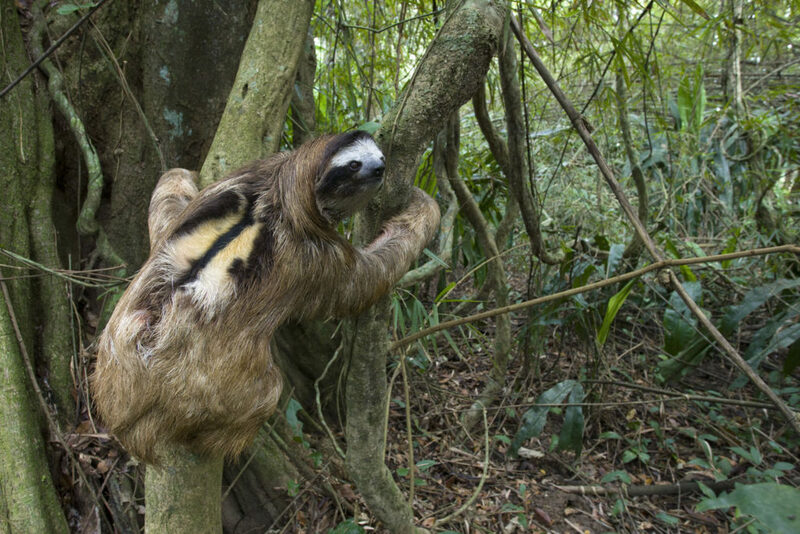 For a cryptic animal such as the sloth, which relies entirely on avoiding detection by predators (to the extent that they have developed a symbiotic relationship with green algae growing in their fur to aid camouflage), the development of a highly conspicuous feature appears counterproductive. Sloths are one of the main prey items for the harpy eagle, a bird with highly developed colour vision and which can consequently clearly distinguish between the green rainforest canopy and the bright orange colouration of a sloth speculum. 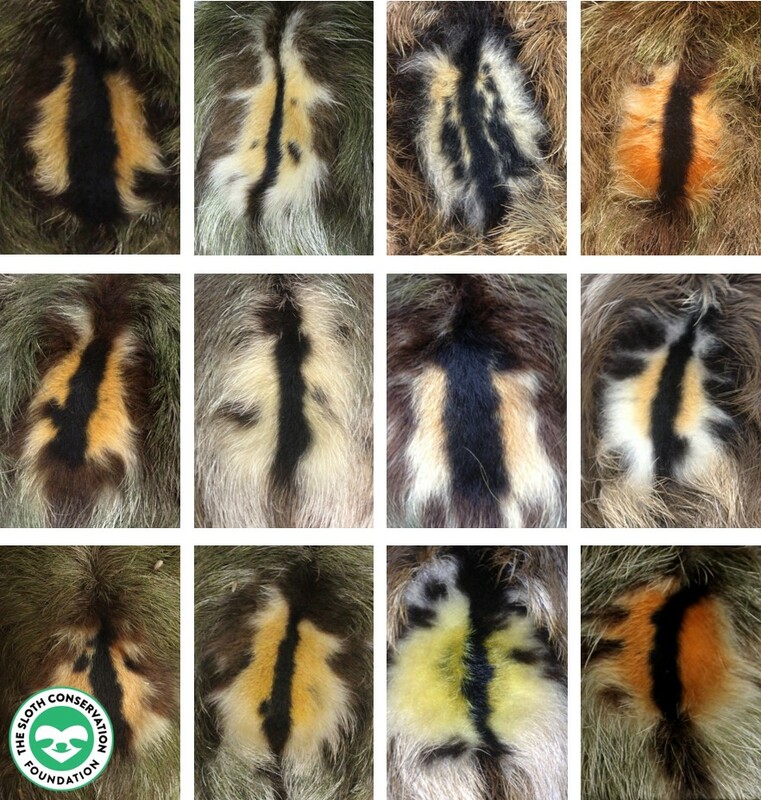 It is hypothesised that these brightly coloured markings are linked to sexual selection, with fitter males developing larger, more conspicuous speculums which in turn give off a more pungent scent and are favoured by females. The scent is likely of high importance since recent research suggests that all sloths have a rare condition called ‘rod monochromacy’ which renders them completely colourblind.